Welcome to Reliant Auto Transport, Inc.
Aside From Your Home, Your Car is the most valued single item that you own. 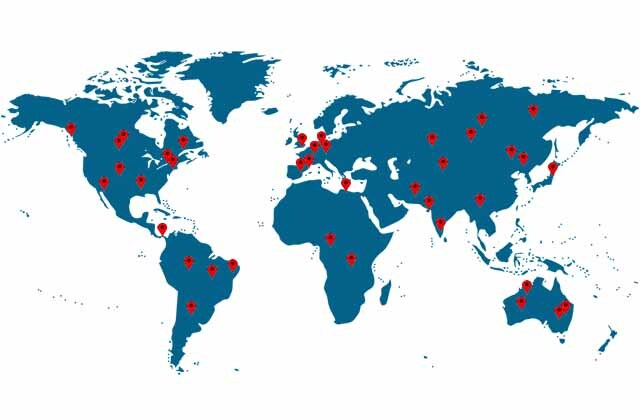 With this in mind, our goal is to assist you in moving your car across the state, across the country, or even overseas as quickly and efficiently as possiblie. Our Auto Transport Services include door to door coast to coast , open/enclosed, collector or vintage cars, Running condition or not, cars, trucks, motorcycles of SUVs. Please take moment to fill out our 'No Obligation Quote' form to receive a free quote for the transportation of your vehicle. 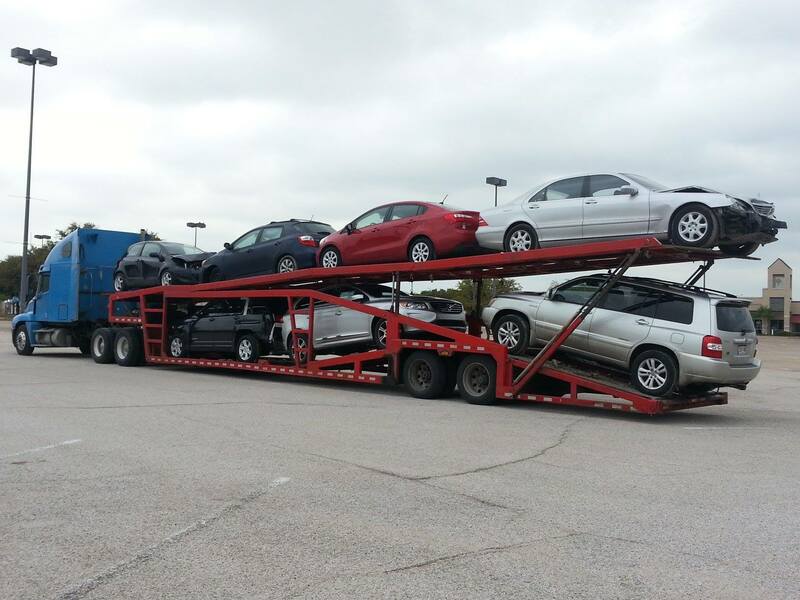 We are confident that you will join many other satisfied customers who use Reliant Auto Transport time after time. Use our safe, secure and free Shipping Quote form below. Please Click On Below Links to Download Forms. If your vehicle is available for immediate pick-up, we will work with you on getting your vehicle scheduled as close to the preferred date as possible. It is helpful when transportation orders are submitted approximately 5 days in advance of the available date. 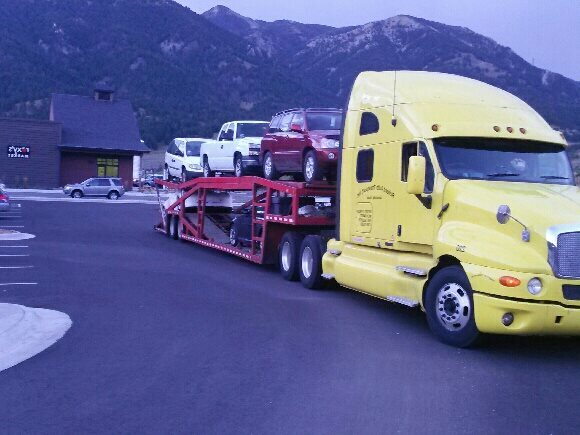 Scheduling your vehicle transportation in advance is helpful but it isn't always necessary. *Pick-up dates and delivery dates are not guaranteed. Guaranteed and immediate pick-ups are available at an additional cost. Q: How much will it cost to ship my vehicle? Transporting your vehicle is determined by a few factors. The origin, destination, vehicle size, and the level of service desired. 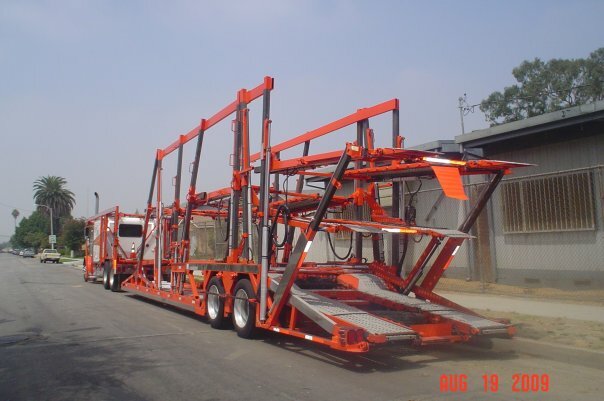 These all play a big role in how your vehicle transportation is quoted. Here's an example: Los Angeles , CA to Dallas , TX Approximately 1500 miles Long Island , NY to Dallas , TX Approximately 1500 miles Even though both vehicles are almost equidistance from Dallas , Texas , a vehicle being transported from NY to TX will be substantially more expensive. There are seldom instances despite our best efforts that we can not get your vehicle dispatched. Our friendly staff will work closely with you to discuss what may be needed if your vehicle has not been assigned to a transporter in our standard time frames. 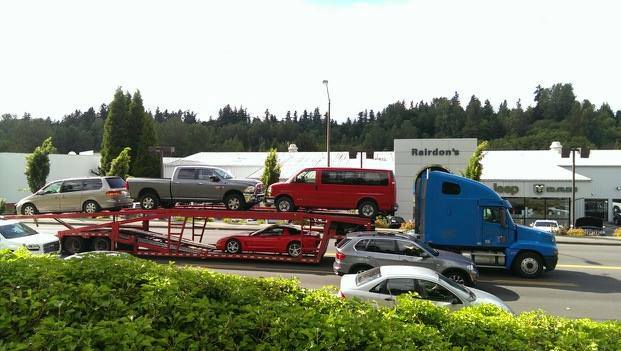 Q: How long does it take to transport a vehicle? There are three major factors in determining how long it will take for transportation of your vehicle. Distance between origin and destination. Type of truck that's transporting your vehicle. Size of the truck could range from 3 to 10 car carrier. The number of stops the driver will have to make. Q: What is the difference between an Open Carrier vs. Enclosed Carrier? 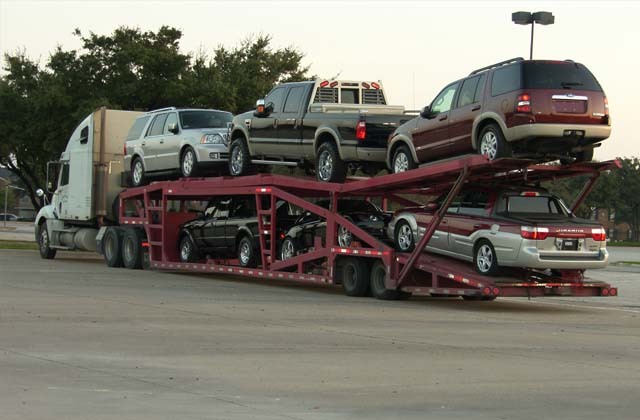 Generally speaking, an Open Carrier is similar to the type of carriers you see transporting vehicles from dealerships. Vehicles that are transported via an open carrier are exposed to inclement weather and road conditions. Open carrier can transport anywhere from 3 to 11 vehicle per load depending on type of equipment each carriers use. An Enclosed Carrier also varies in size and capacity. Enclosed carrier can transport anywhere from 2 to 6 vehicles per load. Since vehicles transported in enclosed carrier are covered, the vehicles in transit are not subjected to inclement weather or road conditions. Enclosed carriers are recommended for exotic, custom, vintage, show vehicles, or vehicles with after-market parts such as high-end stereo and/or custom accessories. Q: Can I pack my belongings in my car? We ask that no personal items are left in your vehicle other than what came with the vehicle in time of purchase. Absolutely no items are allowed in your vehicle if you are shipping overseas, or to Alaska or Hawaii . The Shipping Ports and/or Customs Agents will not inspect your vehicle if there are any items not attached to the vehicle from the factory. They will discard all items not attached to the vehicle from the factory. There is no tolerance for exception to this policy. Federal and State Department of Transportation (DOT) regulations prohibits transport of household items in vehicles being transported by auto carriers. Any items left in the vehicle are absolute responsibility of the registered vehicle owner. Auto carriers do not have license to transport household items . The trucking company/driver's insurance covers damage done to your vehicle in transit. You should have no deductible. First thing you should do is make sure the driver understands that the damage is new and was not on the original Bill of Lading . The damage should clearly be marked and noted, then signed for by the driver. Then call your broker to inform them of the damage. In most cases the carrier will ask for an estimate and send you payment in a couple weeks. If the carrier is not responsive and unwilling to work with you to resolve the issue, make sure you contact their insurance company and make a claim. 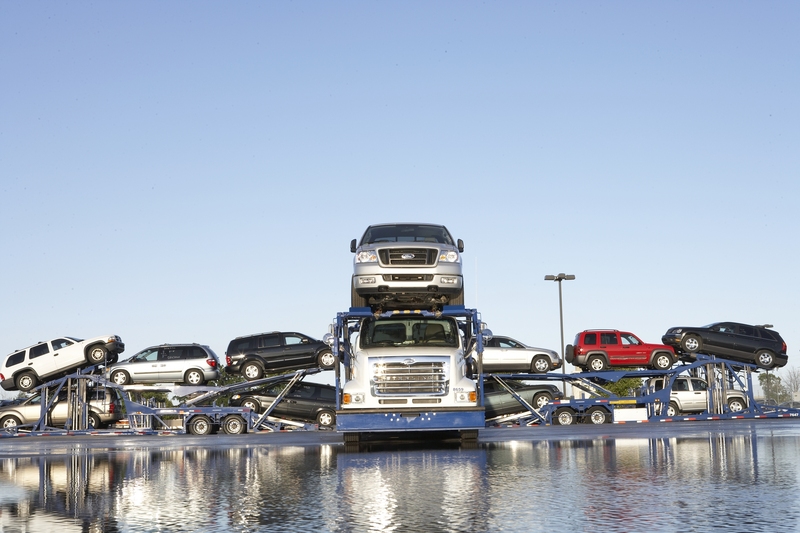 Q: What steps are involved in shipping my vehicle? 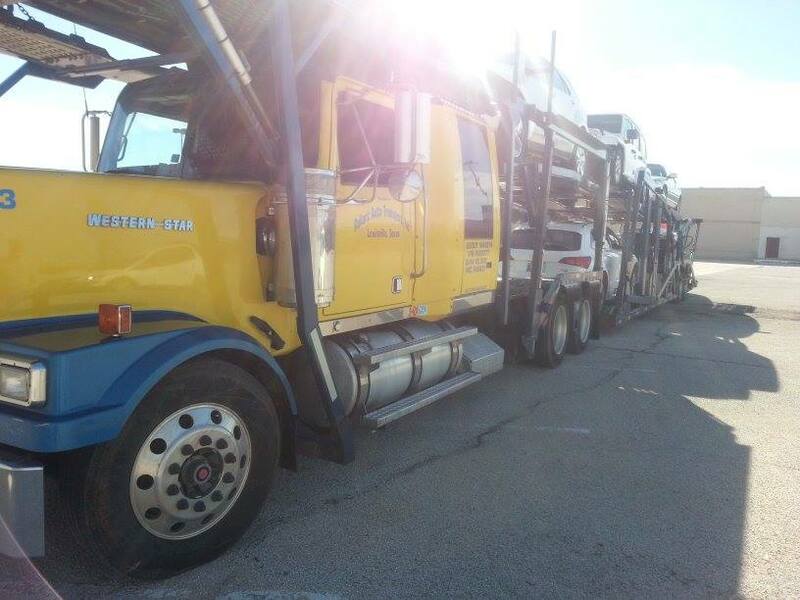 Once your order is placed and all paperwork submitted, the transport of your vehicle will be scheduled according to the available date you provide. After a truck has been assigned, you will receive an email or a phone call with the estimated pickup date and time. We instruct the drivers to call the customer 12 to 24 hours in advance of pick up or delivery to establish a more accurate estimated time of arrival and to work out specific directions. When the driver picks up your vehicle he will perform a detailed inspection of your vehicle on a Bill of Lading/Inspection Sheet . Both the person releasing the vehicle and the driver will sign this Bill of Lading/Inspection Sheet and one copy is left at the vehicle point of origin. The same Bill of Lading/Inspection Sheet will be present on delivery so that the vehicle can be re-inspected before released. Upon receiving an email quote, please sign Contract Terms & Conditions and fax or email to sales@ReliantAutoTransport.com or 972-692-8644 along with the quote. Call 866-901-7443 and ask for representative. 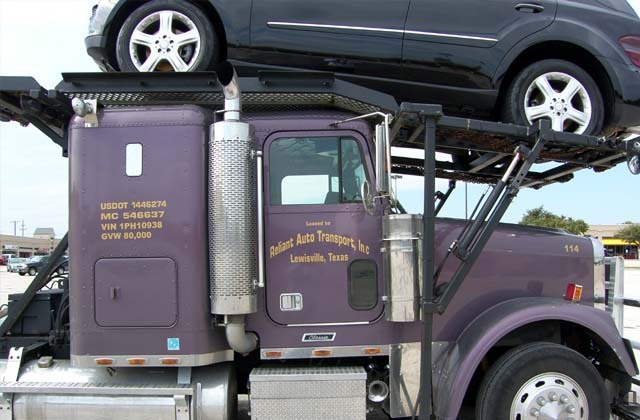 Reliant Auto Transport, Inc. specializes in domestic and international vehicle transportation management. We are known for service, reliability and honesty. Mostly importantly, WE CARE! 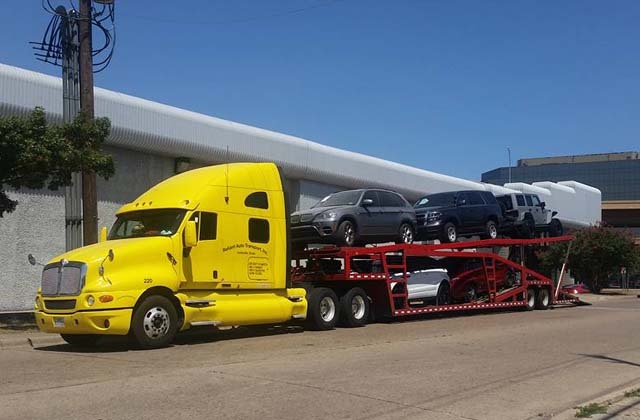 Our commitment as a family-owned and operated auto transport business is one simple philosophy that has created satisfied auto shipping customers. We offer professional and prompt car transport at affordable rates. We will never cut corners to cut costs of shipping your car. 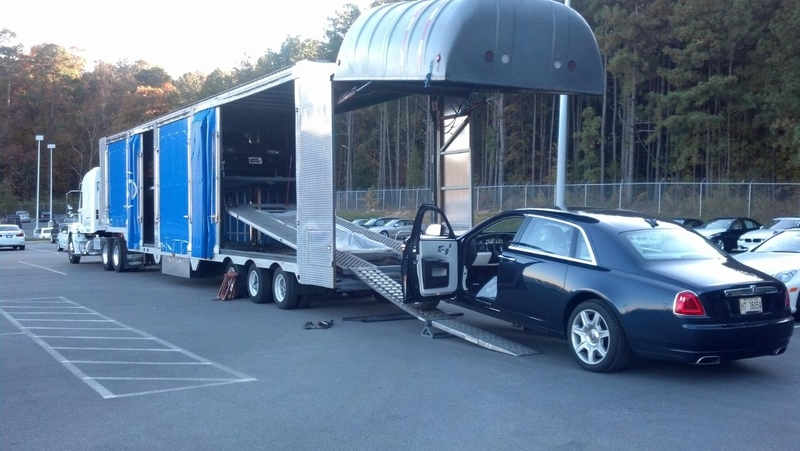 We will transport your car wherever you're moving, safely and effectively. 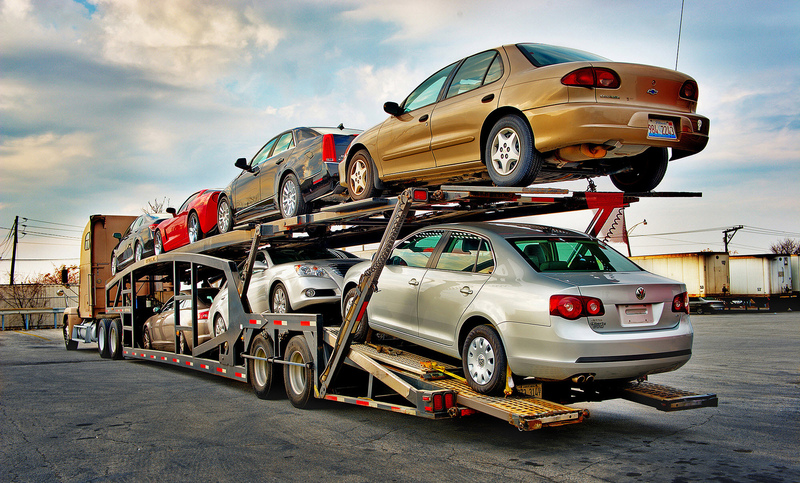 With our Auto Transport Service, you are sure to be pleased. 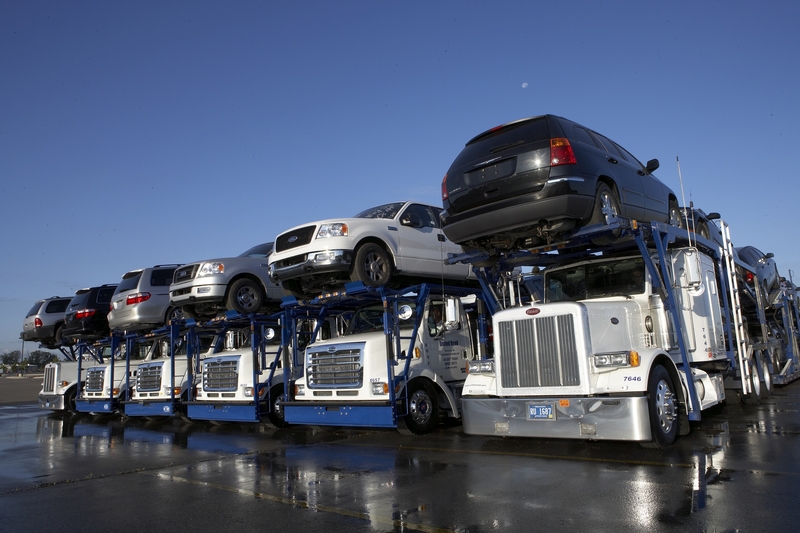 We have extensive experience in the auto transport industry. We take pride in our knowledge and know the importance of handling your autos with great care. Overall, our experience offers our customers the assurance of their vehicles being protected from start to finish. 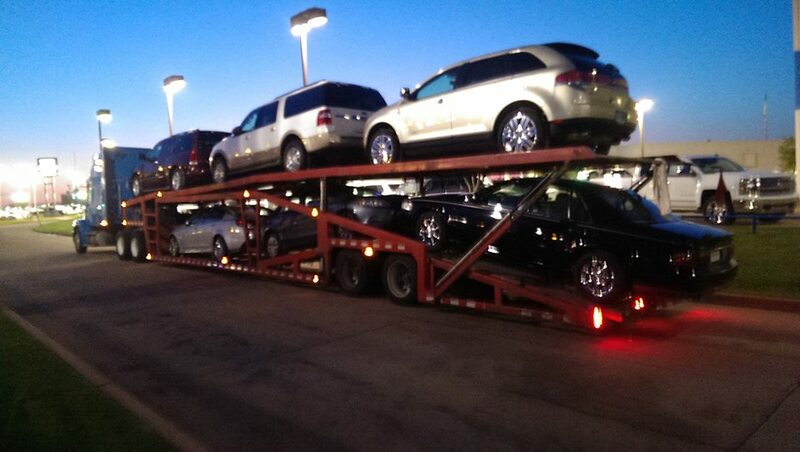 We look forward to you experiencing the Reliant Advantage on your next auto transport. We are proud members of the Better Business Bureau and Better Business Bureau Online Reliability Program. 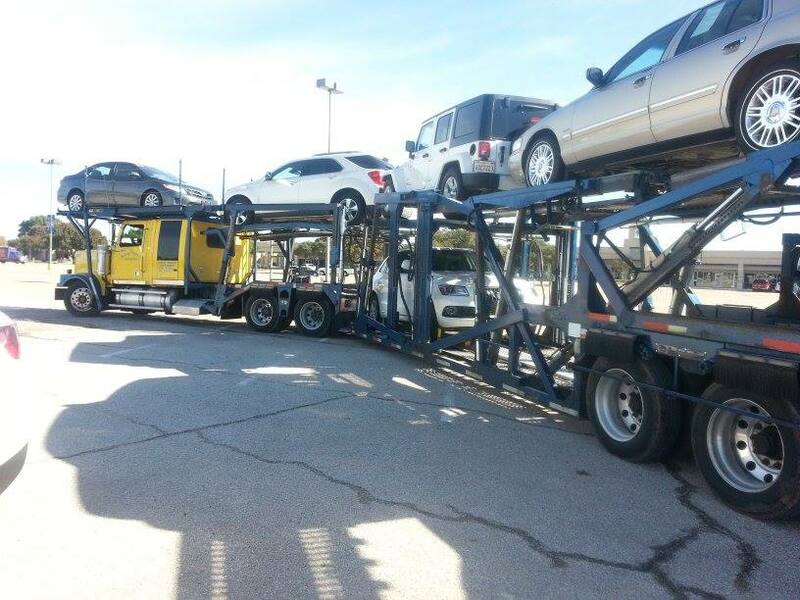 "Reliant Auto Transport did an excellent job moving my Lexus from Plano, TX to Los Angeles, CA. My driver (Andy) was available to pick the car up early (I wasn't ready) and was totally flexible in arranging a time to pick up the vehicle on the first day I was ready. He was polite, professional and courteous. He delivered my car exactly when he said he would. I would definitely use this service again! Thanks, Reliant Auto!" 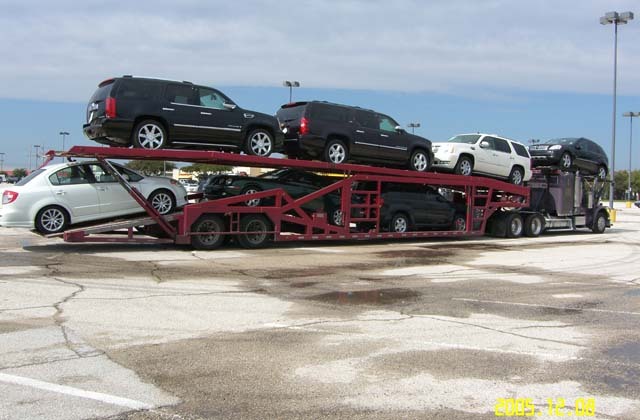 "Reliant Auto Transport gave me the best quote and stood by it. They pick up the car when they said they would and delivered it on time. They available when I called and they answered all my questions and if they said they would call to follow up they did. I am very happy with their service and would use them again." Out of all the quotes I received by email, Matt with Reliant Auto was the only company that actually called me. My car was picked up on time and the driver gave me his cell phone number in case I had any questions while my car was on the truck. Everybody that I dealt with was very professional and I couldn't be happier with the service. 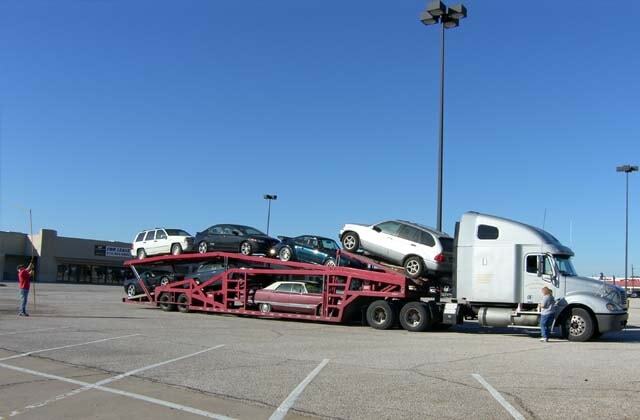 "Reliant Auto Transport's quote was all inclusive and the lowest that I received ( 6 quotes total). They were able to pick up the car at my business office in Virginia the same day I accepted the quote. And, the car was delivered the next morning in Ohio. 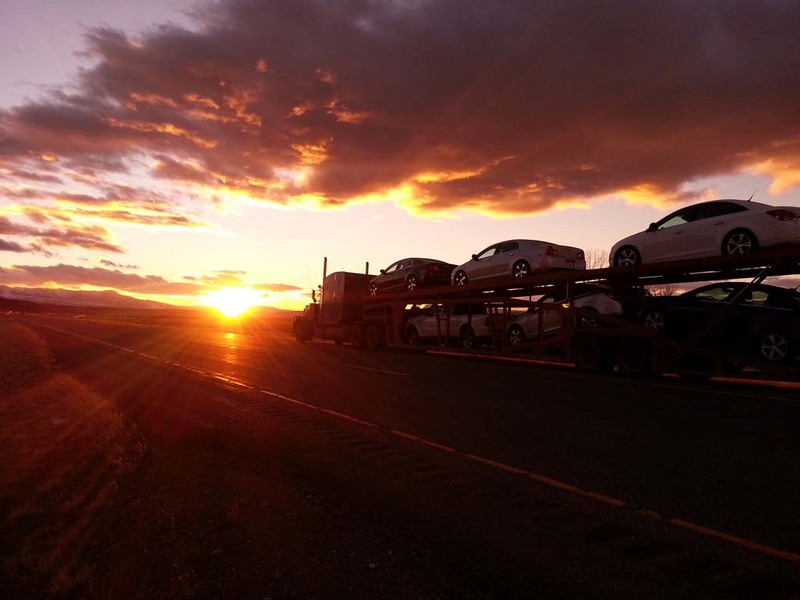 Great experience.."
"Matt at Reliant Auto Transport did a great job of coordinating the move of my two cars from Salt Lake City, UT to Las Seattle, WA. HE charged a fair price, hired a competent carrier and managed the process from pick-up through delivery with great attention to detail. I recommend Reliant Auto Transport to anyone who needs to move a vehicle.